Home » Reviews • Tech • WordPress » Host1Plus Review: Is it A Good Hosting? In this Host1Plus Review we will analyze the main hosting plans this company offer. If you are looking for an affordable web hosting with flexible plans and servers in multiple locations in the world, Host1Plus might be an excellent choice. 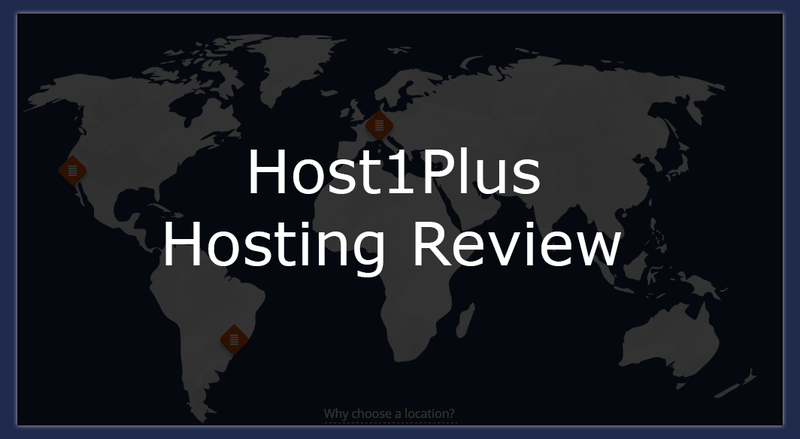 This Host1Plus review will help future bloggers and online entrepreneurs to decide whether their hosting services are ideal for your needs. Host1Plus has pretty affordable hosting plans that included shared, VPS, dedicated and cloud servers. But, Is Host1Plus good? This post will analyze all the aspects that make of a hosting company a reliable partner for online entrepreneurs. Among other factors, we will analyze Host1Plus support, uptime, security, and pricing. Host1Plus was founded in 2008 by Vincentas Grinius and Andrius Kazlauskas in Lithuania. With a great set up and good entrepreneurial skills, the company experienced fast growth, and by 2010 it already had 5000 customers. The company continued a steady growth, adding important data centers in various locations in the world. As Host1Plus expanded, the company also added other services like CDN implementation by 2010 and VPS and dedicated servers by 2012. As of 2017, Host1Plus offers server locations in many locations, such as Brazil, Germany and the United States. The company has around 30 employees and beated the 65000 customer mark. You can click here to buy a hosting plan on Host1Plus. Buying a hosting plan on Host1Plus is quite easy, and they accept more payment methods than the average hosting company, as we can see below. One of the biggest advantages of Host1Plus is their wide range of payment options, which are especially good if you do not have or don’t want to use a credit card. Currently, Host1Plus accepts the following payment options: Credit Card, PayPal, Bitcoin, Paysera, Webmoney and CashU (via Paysera), Alipay, Ebanx. 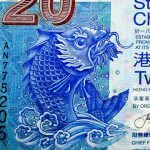 While some payment options are available in most regions, others are available for a specific number of countries. Host1Plus is still one of the few reliable hosting companies that accept bitcoin. Click here if you are looking for hosting companies that accept bitcoin. Another important aspect to mention is Host1Plus billing cycle. You can pay on a monthly basis, which is an advantage since most big hosting companies will only allow you to buy at least a 1 year plan. Host1Plus main services include: shared, dedicated and cloud hosting. We have tested their shared web hosting plans, but all plans have some pretty solid specs and very attractive prices. Overall, Host1Plus plans are quite flexible, and you get a great value for the money. I believe their web hosting plans are ideal for affiliate marketers, bloggers and also for any one wanting to open a small ecommerce business. You can check all Host1Plans plans here. Its easy to understand why Host1Plus is growing fast and becoming popular in several markets around the world. Their web hosting plans are extremely affordable and have very few limations, for this reason I believe the company will continue to grow sharply in the next years. 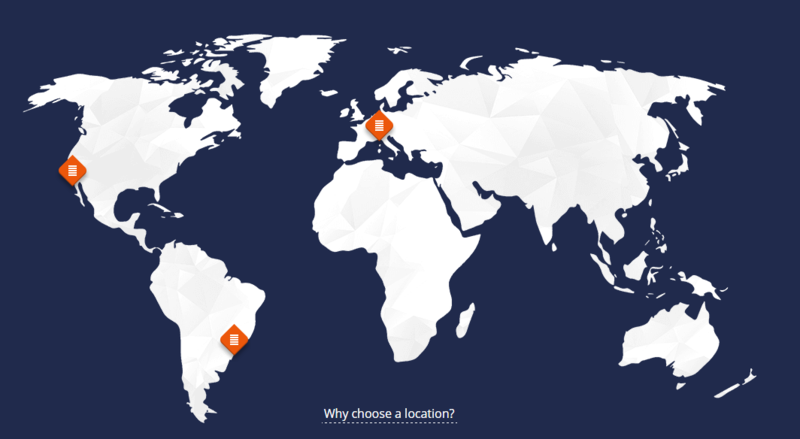 Below we have a map with the current Host1Plus web hosting server locations. Is Host1Plus a good hosting for shared plans? Let’s analyze its shared plans below. The personal web hosting plan is the cheapest plan available on Host1Plus. It offers unlimited bandwidth and unlimited space, however it has some restrictions in the number of subdomains and databases. The business plan is much more flexible than the personal one. Considering it is also quite affordable, I recommend this plan if you want to run more than one website. It also has some limitations regarding to subdomains, add-on domains and databases. The Business Pro is certainly ideal if you have a bit more money to invest on your web ventures. It has no limitations and includes a free dedicated IP. You can click on the table below for more details. Installing WordPress on your Host1Plus web hosting plan is quite easy. However, it requires a few more steps using DirectAdmin than cPanel in my personal opinion. In either cases you don’t need any coding skills to get your WordPress running. On your DirectAdmin panel, choose your domain. Scroll down to web applications, if WordPress is not there, click on view more applications. Choose WordPress and proceed with the installation choosing your user name and email. After, you can already log-in on your wp-admin directly from your domain to edit your new WordPress site. Even if the company is still quite small, Host1Plus has a pretty reliable support. Host1Plus uses a ticket system to solve most of its technical issues. Host1Plus also has a live chat available mostly during the working week from my experience. However, bigger companies like HostGator or SiteGround offer a more readily support, with chat and phone support 24/7. One of most important aspects I consider when choosing a hosting is their server speed. For this reason, I always test all hosting companies with a simple server response ping. The time for a server response usually gives a general idea of how fast a server is. However, it is important to test is from multiple locations. In this Host1Plus review we used the tools available on Site24x7 to determine how fast the Host1Plus web hosting server is. Below are the results. As the server is in Germany, it has good overall ping speeds from all of the locations tested, considering they are quite far. The average serve respond is in my opinion similar to bigger hosting companies. If you are interested in server speeds, you can check our post on the fastest WordPress hosting companies. 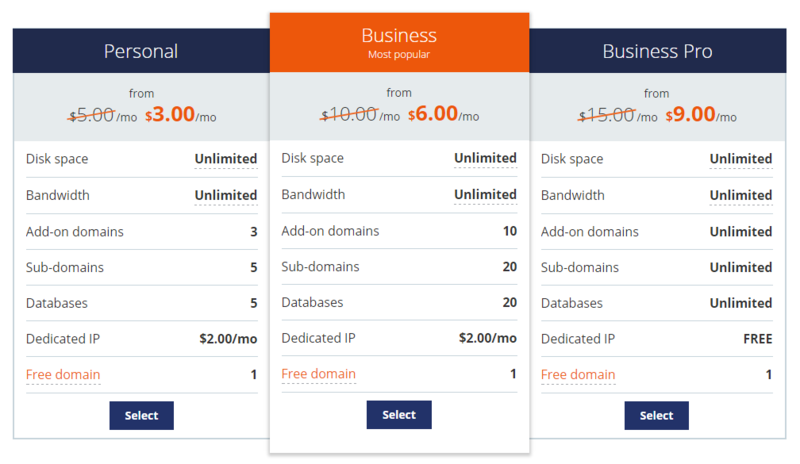 Host1Plus offers a free domain with each hosting plan sign up. This is a quite great advantage, especially if you are on a budget and want to start your online business. If you already have a domain name, I recommend you to still get a free domain while signing with Host1Plus, as its another asset you may use in the future. Comparing this Host1Plus review with other hosting companies, having a free domain is definitely a good thing. However, many other hosting companies offer it as well for new sign ups. For newcomers in the online business, I would definitely recommend a two web hosting plans offered by Hosting1Plus. The Personal and the Business web hosting plans by Host1Plus are ideal for anyone willing to start an online venture, in one or a few different websites. You can check all Host1Plus plans here. Overall, this Host1Plus review shows us that it is a good company. As it is a service in a fast expansion process, users might still experience some minor issues. However, most of them are solved quickly and efficiently. The fact that Host1Plus accepts bitcoin is certainly a deal breaker, especially if you are into cryptocurrencies. Make sure you choose a server closer to your target audience to guarantee a fast server speed to most of your viewers. If you are looking for a global audience, make sure you use a CDN service together with your Host1Plus package. Did you like our Host1Plus review? Do you have already some experience with this company? Share your thoughts below.